Do you live in Middleton? Need someone to clean the debris and leaves from your gutters? Well, that is what we do. 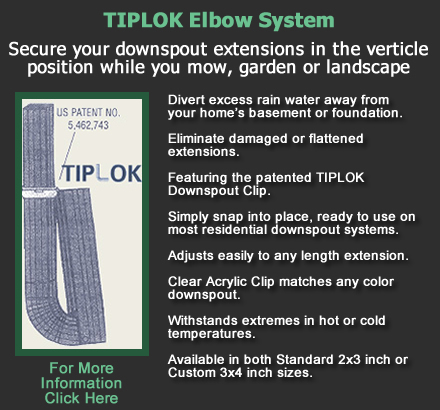 TIPLOK Home Services is a gutter services company offering Middleton homeowner’s and business a full range of gutter cleaning services, gutter repairs, gutter installation and an gutter downspout elbow system the keep your downspouts from damage and easy to move out of the way when trimming lawns and other foliage around them. Many people forget about cleaning their gutters throughout the year, but it is a vital maintenance requirement to keep your gutter system working properly and eliminating premature damage and replacement. Gutter cleaning is more affordable than most people think, and with TIPLOK, you know the job will be done each and every time correctly. During our gutter cleaning we will note any repairs that may need fixed and go over that with you so we can give you a reasonable gutter repair quote to fix the necessary damage. We will ensure all debris is completely removed from your gutters. Give us a call or contact us through our form so we can speak with you in more details. We provide gutter cleaning throughout Dane County including cities such as Cottage Grove, De Forest, Madison, Middleton, Oregon, Sun Prairie, Verona, Waunakee and Windsor.